In Norway, traditions take place throughout the season, but the main Christmas celebration takes place on Christmas Eve. 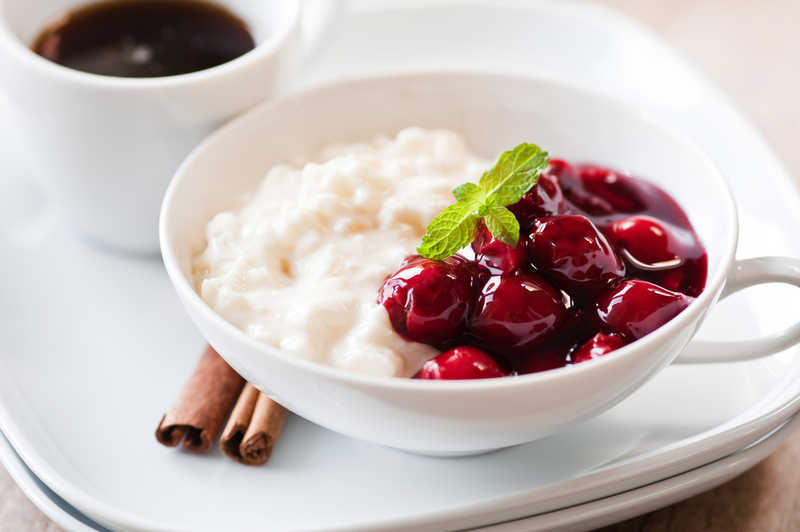 On this day, almost every Norwegian eats rice porridge or rice pudding! 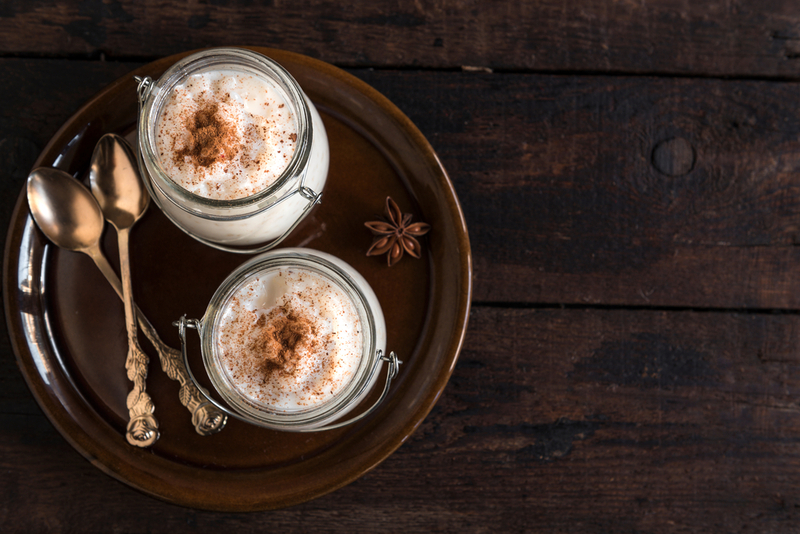 Many families make risengrynsgrøt, or rice porridge, in the morning, so that they can add whipped cream to the leftovers to make riskrem, a fluffy rice pudding for that evenings dessert. 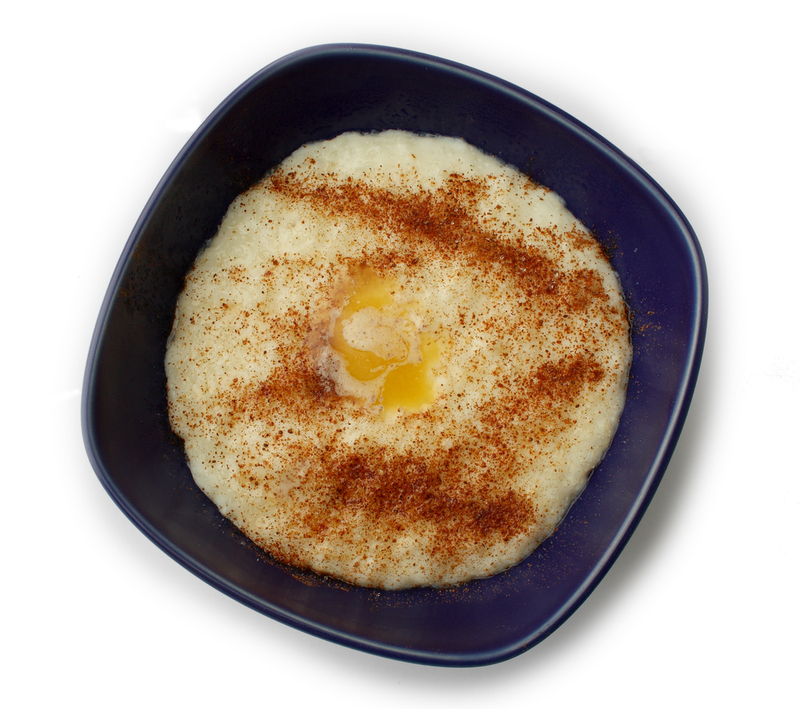 Risengrynsgrøt is traditionally served warm and topped with sugar, cinnamon, and butter. Riskrem, served chilled, is commonly topped with a berry sauce. It is traditional for families to place a single, blanched almond inside the rice porridge or pudding. Whoever finds the almond will have good luck, and often gets a prize (usually a small marzipan pig or chocolate), and the distinction of getting to open their presents first! Does your family need help deciding who gets to open their presents first this year? Adopt this Norwegian tradition and let the almond decide for you! Learn how to make Norwegian rice pudding! Boil water in a pot. Add rice, cover and lower heat to simmer for 15 minutes. Next, add milk and, raisins and vanilla. Then bring the water back to a boil. Cover, lower heat and simmer until the rice is tender, about 20-30 minutes. After this, season with salt and nutmeg. Little Passports wishes you a happy holidays. Gledelig Jul (Merry Christmas) from Norway!